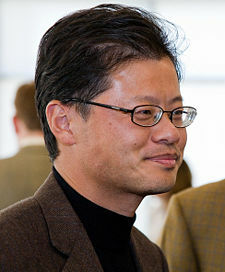 Jerry Yang, Yahoo!’s chief visionary, may not be in shareholders’ good books for his refusal to accept Microsoft’s bid for his ailing internet company, but it would be remiss of them not to tip their hats off to the 39 year old, tech pioneer for his tenacity. Not only has Yang staved off Microsoft’s initial solicitation for Yahoo!, he has remained resolute to his desire to exhaust all possible options that may help to breathe some life into the plummeting enterprise, by also evading a hostile take-over that, by all indication, was the logical next step for Microsoft to sweeten its ambitions. Bill Gates and his renowned team of mergers and acquisitions experts huddled after Yahoo! 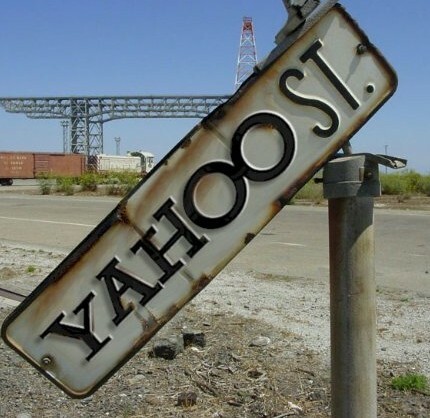 rebuffed their “generous” offer, and weeks later, just in time for Yahoo!’s board elections, emerged with a list of designates to steer its internet ship once the old board is ousted. Yang, one of Yahoo!’s co-founders, did not truckle. Not for a minute. He stayed calm, and continue to so do against the background of a slew of class actions citing his imprudence in carrying out his fiduciary duties, as well as a pseudo-exodus of the company’s key employees. Crucial developers at the Mountain View company are now abandoning ship, and as the CEO needs all hands on deck to support Operation Damn you Microsoft, the Taiwanese technology buff has once more pulled another bunny from his hat. In return for their membership to the stick-this-out as long as we can club, he is offering Yahoo!’s “rock stars” restricted stock units (RSUs) to rank and file team members. These RSUs are grants offered at the current value of the company’s stocks – which, by the way, are faring better than Microsoft’s – and will distribute a cash or stock equivalent sum following a vesting period, in this case, based on Yahoo!’s corporate employee retention goal. Whether or not RSUs will dissuade Yahoo!’s gurus from bailing is yet to be seen, but is a creative way to extract the loyalty of those, whose sweat equity, helped to make Yahoo! and who certainly deserve a piece of the stock pie. As Microsoft’s investors rue and Yang is easy like Sunday morning, another money man, Rupert Murdock, diversified the pool of Yahoo! courtiers by briefly considering a bid. Around the same time, Google guys, Larry and Sergey, whose favourite person in the world is definitely not Bill Gates, voiced their dismay with the software giant and readied their own conglomerate henchmen to assist Yahoo!’s quest to shoo away Microsoft. Anti-trust restrictions stand in Google’s way and Murdock – who is feeling no pain with the billions he is making from digital advertising inroads gained on his social network, MySpace – does not seem too excited to match Microsoft’s even more meaty balance sheet. With the drama surrounding the deal, Silicon Valley pundits may say they have seen it all. Maybe not. Warren Buffet, the richest man on the planet and Bill Gates’s pal, would first have to enter the hullabaloo. That would be tantamount to Bill Richardson’s endorsement of Obama. It happened, didn’t it?